For the past several seasons, Real Madrid treated the Copa del Rey as a nuisance and a burden rather than a competition worth winning. José Mourinho has changed that mentality. One Taça de Portgual with FC Porto, two Carling Cups and an FA Cup with Chelsea, and a Coppa Italia with Inter Milan signals Mourinho’s intentions of taking the domestic cup as seriously as the domestic league and the European competitions. Real Madrid is making their first appearance in the semifinal of the Copa del Rey since 2006, and they face the defending champions Sevilla, who are in a mini-revival since hitting rock bottom in the middle of December. They have only lost one of their last eight matches in all competitions, and this club has had a legitimate reputation for saving their best performances for cup competitions. Sevilla’s three strikers, Luís Fabiano, Frédéric Kanouté, and Álvaro Negredo, are finally starting to play well at the same time, and that is a departure from much of this campaign, whenonly one, and on occasion two of them, would string together a few games together of decent play. Sergio Sánchez can only prove to be an inspiration to the team after coming back into the fold after over a year, when many feared that he would not be able to play football again due to his heart problems. Predictably, Sánchez has looked a little off the pace in the center of defense, but as he regains trust with his teammates and more importantly in himself that he can exert 100% of his energy without fear of a potential episode, he should return to the player that Sevilla paid Espanyol €4 million for in 2009. 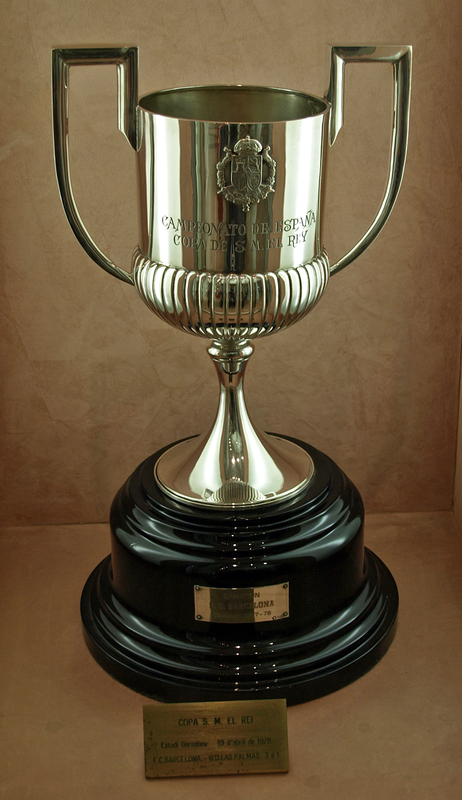 In the other semifinal, most have already given FC Barcelona a berth in the Copa del Rey final because their opponent, Almería, sits 18th in the table and in the relegation zone, and when these two clubs opposed each other in La Liga, Barça equaled their most lopsided away victory in their illustrious history, an 0-8 embarrassment that was the final straw for Juan Manuel Lillo’s tenure as Almería manager. José Luís Oltra has somewhat steadied the ship since taking over for Lillo, and he has been helped by the reemergence of Kalu Uche, who has provided Almería the center forward necessary for Pablo Piatti, Albert Crusat, and co. to roam from the wings, provide the crosses, and cut in to take shots on their own. José Ulloa has flourished as the super-sub striker when Almería needs a goal, scoring seven in just five starts and fourteen substitute appearances. Without the stellar play of Diego Alves in goal, however, whatever goals Almería scored would be rendered moot. The Brazilian goalkeeper has saved 103 shots on goal, by far the most in La Liga, and somehow has only conceded thirty-four. Almería only has two clean sheets, tied with Málaga for the fewest in the league, but that has everything to do with Almería and hardly anything to do with Diego Alves. He continues to be linked with a move away from Almería, but until that happens, he is the only chance for Almería to advance to the final past Barcelona. Let’s hope Almeria keep things interesting and put up the kind of resistance we saw them muster against Real Madrid. Can’t help feeling that worse humiliation for Mourinho than getting beat 5-0 by Barca in La Liga could be losing by a similar margin in the Copa del Rey final.